Place all ingredients except tahini paste and salt in a food processor. Puree all the ingredients except the tahini paste and salt until well mixed. Add the tahini and salt. Mix by hand until the mixture is smooth (add more olive oil if necessary). 6 Responses to "Fermented Hummus"
New to fermenting with a chronically ill daughter not keen on fermented veggies but loves hummus. 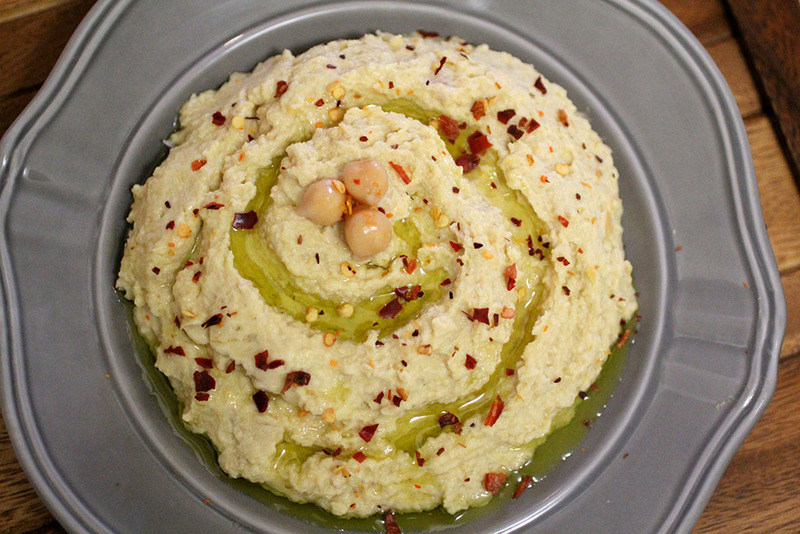 How is the hummus fermented/creating probiotics? Through the addition of the fermented garlic? Yes, through the fermented garlic. How much sprouting do the chickpeas require – just until the roots first appear or longer? Just till the roots appear. Shorter sprouts are better. Maybe taste a little sweeter when sprouted.